Apple has implemented a number of security features into its products over the past few years, and Touch ID has been at the very heart of proceedings. Given that it first appeared alongside the iPhone 5s during late 2013, the fact that the Apple Store app has only just been updated to support it is rather surprising. Nevertheless, version 3.3 of Apple Store finally recognizes the fingerprint sensor native to the iPhone 5s, iPhone 6, 6 Plus, iPad Air 2 and iPad mini 3, and with two-factor authentication also part of the package, this is an update not to be missed. Given the fuss that Apple made about Touch ID’s security credentials upon launch and since, it seems odd that the company’s own Store app hasn’t seen integration before now. The distraction of preparing for the Apple Watch, which, incidentally, got Apple Store app support a couple of weeks ago, can probably take some of the blame. Users have been requesting Touch ID for a while, though, and now, the company has finally delivered. After updating to version 3.3, users will be able to use Touch ID to view their orders, as well as check out EasyPay receipts and reserve items for collection at brick-and-mortar outlets. Touch ID is, without question, a secure feature–and it’s also very convenient–but it’s not the only security perk that Apple Store 3.3 offers. Apple has also thrown two-step verification into the ordering process, which gives added peace of mind to those using the app to make purchases. Two-step verification is something that Apple introduced two years ago to prevent unauthorized account breaches, and, generally speaking, those who utilize the feature are much less susceptible to being hacked. The much-publicized leak of celebrity images back in August/September of last year suddenly highlighted the importance of two-step verification wherever possible, so it’s good that the Apple Store app has welcomed its aboard. Apple Store app now available in Turkey, Brazil, Mexico, Singapore, New Zealand, Taiwan, Malaysia, Philippines, United Arab Emirates, Belgium, Denmark, Finland, Austria, Ireland, Luxembourg, Norway, Czech Republic, Hungary, Poland and Portugal. That’s quite an exhaustive list of countries to add in one swoop, and if you happen to reside in any of those areas, you can now download the app and place your orders from the comfort of your iPhone, iPad or iPod touch. 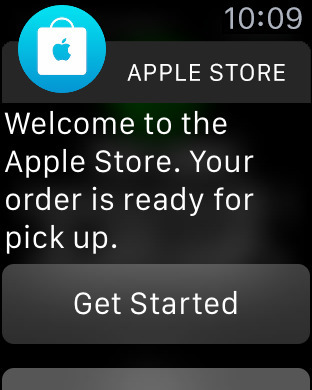 About a week after the Apple Watch was released, the Apple Store app was updated to support the wearable. 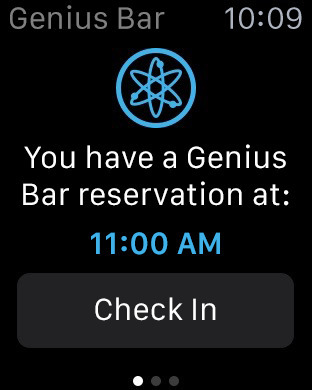 But while one can use it to check order status, book Genius Bar appointments and process other minor tasks, the device’s limitations–i.e. the lack of a keyboard–mean that it cannot actually be used to make orders. 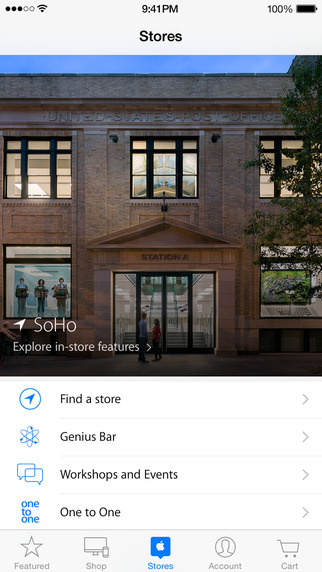 You can grab version 3.3 of the Apple Store app below, free of charge.